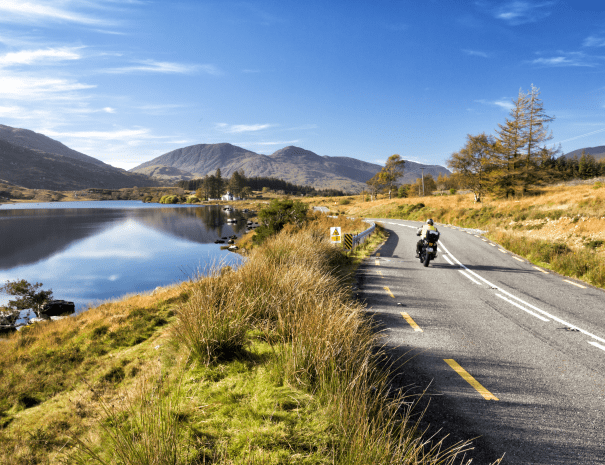 What's the best time of year to motorcycle in Ireland? 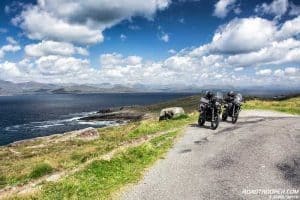 So, what’s the best time to ride a motorcycle in Ireland? This is one of the more trickier questions to answer, and it’s a question that we are frequently asked. We thought we’d write a more detailed piece about it here! Probably the best way to think about it is…. There's no such thing as bad weather, just bad clothing! Traditionally, motorcyclists in Ireland started their riding season on St. Patrick’s Day – 17th March and ride until around the end of October. 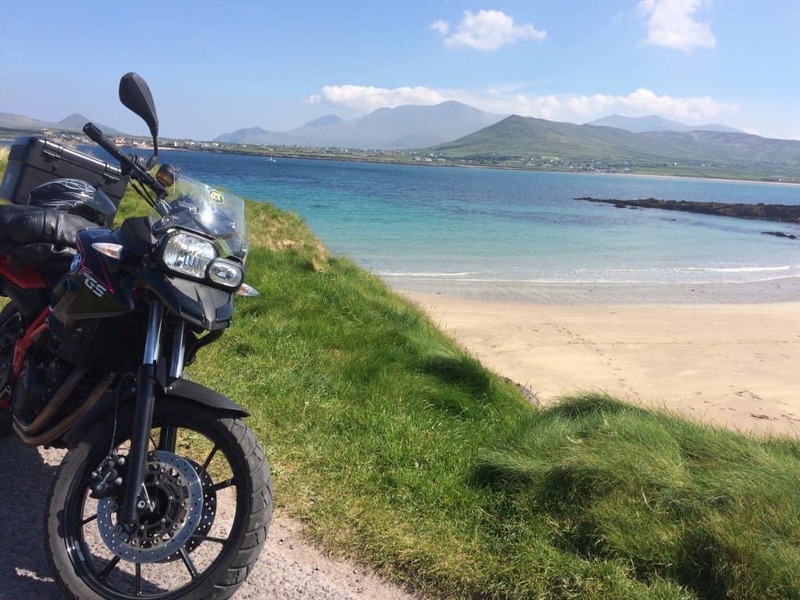 Hardier individuals will ride all year round, but if planning a holiday to Ireland, it’s risky expecting to ride in our winter months. Although Ireland is located in quite a northerly latitude, we are blessed with a temperate climate thanks to the Gulf Stream, which keeps our island relatively warm. Being an island in the Atlantic ocean, we get our fair share of rainfall – that’s why it looks so green! From a motorcyclists perspective, Ireland’s weather is very benign. 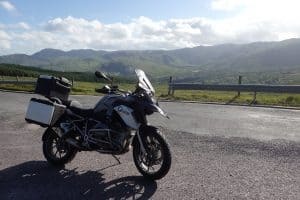 Rarely does it get too hot for riding and apart from Winter, rarely too cold. 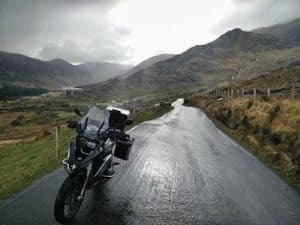 Most of our bikes are equipped with heated grips, which at the end of a day in the saddle, when the body temperature may be cooling, it’s more than enough to keep you warm. Whatever your views on climate change – we often get every climate in the one day! In 2018, we had very nice dry weather and beautiful riding days in October – when this photo was taken. 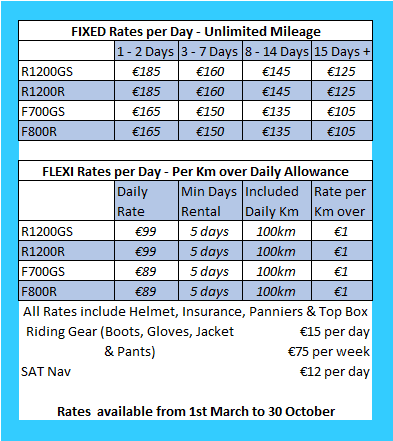 Get the right riding gear! 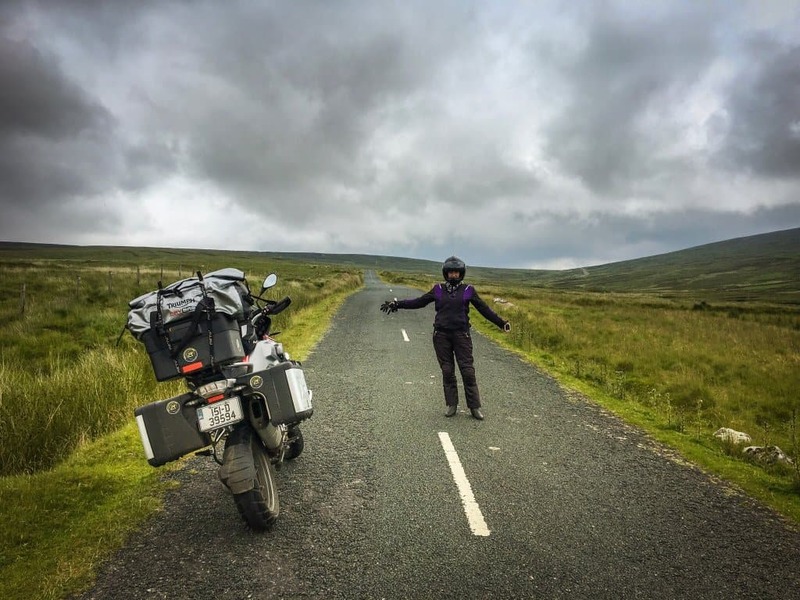 To make the most of your motorcycle tour, it’s important to wear the correct motorcycle gear. Leather jackets and pants are fine on a Sunday afternoon ride out with mates, but for a longer tour around Ireland, we always recommend protective textile garments. Ideally with plenty of zipped ventilation for when the sun’s out, so you don’t bake. Gor Tex or Cordoba breathable shell suits are great, so you can layer up underneath according to the conditions. 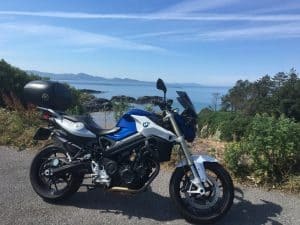 Lemonrock can provide suitable riding gear for rent, but if you have decent riding suits and you plan to ride for more than a few days, it’s best to bring your own – you know you’re going to be comfortable in your own gear, especially riding boots. Helmets are mandatory – once again we can provide these along with boots and gloves. 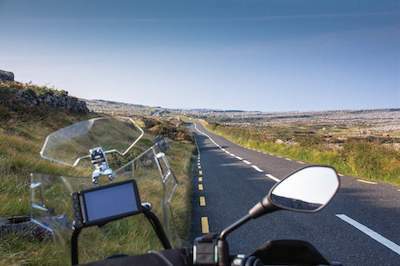 But to answer the question “When is the best time to ride a motorcycle in Ireland” – whenever you’re ready! 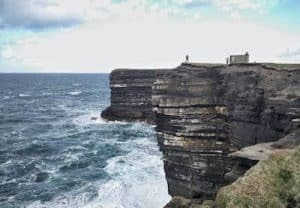 Whatever the weather, you’re sure to have a trip of a lifetime in Ireland! Riders coming to Ireland always ask what's the best time to ride? 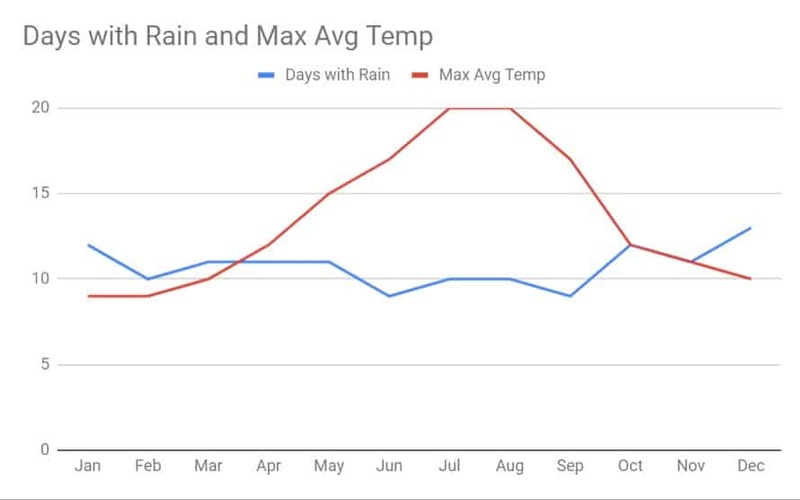 When is the rainy season? We try to answer these questions here from a motorcyclists perspective!